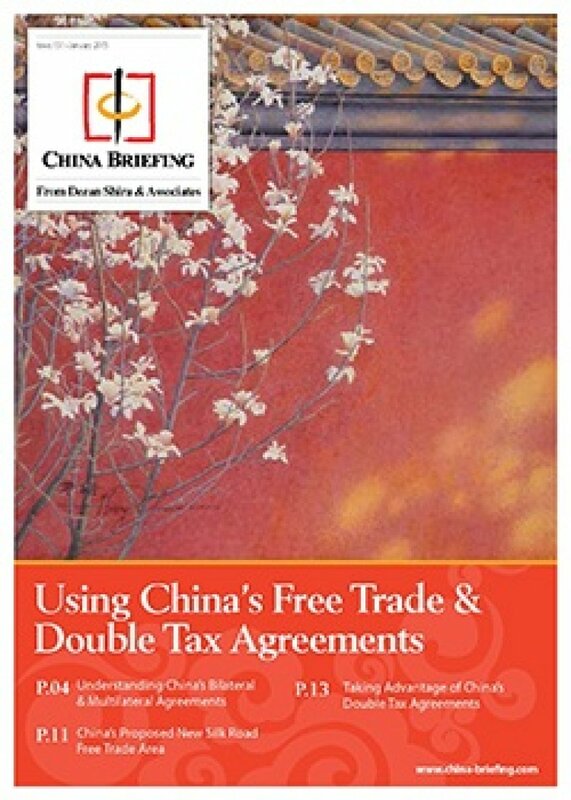 In this issue of China Briefing, we examine the role of Free Trade Agreements and the various regional blocs that China is either a member of or considering becoming so, as well as how these can be of significance to your China business. We also examine the role of Double Tax Treaties, provide a list of active agreements, and explain how to obtain the tax minimization benefits on offer. China has been assertive when it comes to attracting and encouraging trade and investment - especially so when it comes to entering into Free Trade Agreements and bilateral Double Tax Treaties. However, there remains a disconnect when it comes to many would-be foreign investors in China, who are often unaware that their country of origin may well have treaties in place with China, which, if used correctly, can significantly reduce their China tax burden and thereby increase the overall level of profitability of the China based entity. Tax is always a fast evolving subject, and over the years China has been shrewd in how it uses tax concessions to either encourage or discourage trade in certain areas. Double Tax Treaties are an important symbol of the mutual desire of both China and the reciprocating nation to boost trade, and should be very much at the forefront of any strategic planning when considering an investment into China. However, the tax benefits that can be obtained from enacting such treaties and concessions need to be applied for - they do not automatically appear. Local tax bureaus in China need to be made aware of treaty status, and provided with supporting documentation; otherwise, the opportunity will be lost. We wish you all a profitable 2015 and Chinese New Year of the Sheep!